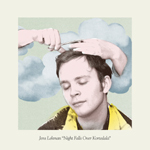 At this point in his career, we know Jens Lekman has a knack for telling a compact story: in the span of one song, he crafts amazingly complex mini-movies, words often cascading rapidly over each other in funny asides and sharp character details. (Some of his best works, “A Postcard to Nina,” “Black Cab,” and “Waiting for Kirsten” come to mind.) Whether or not what he does appeals to one’s particular sensibility, Lekman’s always relentlessly interesting. There’s no spacing out to Jens; every time some clever joke, astute observation, or out-of-nowhere key change will shake you awake. I Know What Love Isn’t, his first full length since 2007, demonstrates that all these qualities remain very much intact. However, it also indicates that Lekman is evolving. I Know What Love Isn’t is perhaps Lekman’s most consistent and deeply felt effort yet—it’s the devastated and hopeful document of a break up, with all the mood swings and rationalizations that implies. It tells a bolder, more personal story than he’s told in the past, one that leaves a lasting, even exhilarating, impression. I Know What Love Isn’t is not Lekman’s most instantly gratifying record—that honor would probably go to the giddy, genre-blending Night Falls Over Kortedala (2007), which managed to be a different kind of charming on every song, skipping from silly to serious in a blink. I Know What Love Isn’t is slower, cloudier, and softer than that record, but also has a greater sense of gravity that unites all the songs, pulling them down to earth when they’re in danger of floating away. Jens is still Jens, goofy and wordy (and still in love with the flute and a yacht-rock sax), but these songs can be surprisingly solemn and blunt, particularly early in the record. The best example of this is the biggest downer of the bunch, “She Just Don’t Want to Be with You Anymore,” which totally lacks for Jensian verbal gymnastics, instead laying bare the humiliation and heartbreak: “She’ll say she doesn’t want to be with anyone. 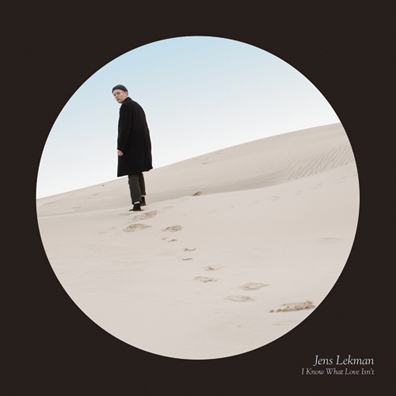 / Anyone and anyone only / But there is no only / She just don’t want to / Be with you / Anymore.” A whole record full of songs this sparse would be a waste of Lekman’s talents, but just one pointedly infects the rest of the record with a pain that lingers, even in the most joyous moments. 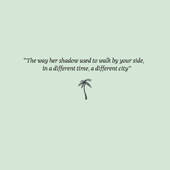 Like “The Opposite of Hallelujah” from Night Falls Over Kortedala, “I Know What Love Isn’t” is a song whose cheerful hook belies the frustration and unhappiness boiling beneath. And on I Know What Love Isn’t Lekman’s not afraid to dig even deeper, sometimes losing the cheer and exuberance altogether, as on the closing track “Every Little Hair Knows Your Name.” Maybe it lacks the frenetic energy of Night Falls Over Kortedala, but I Know What Love Isn’t is a great record in its own right, a showcase of Lekman’s prodigious storytelling gifts that also makes an effort to connect those stories, and that music, into an emotionally resonant whole that is greater than the sum of its parts.